PHOENIX, Jan. 16, 2019 (GLOBE NEWSWIRE) — SingleSeed a subsidiary of SinglePoint (OTCQB:SING) a fully reporting company providing mobile payments, ancillary cannabis services launches PHYTO-BITES on SingleSeed.com. The company’s subsidiary SingleSeed.com has added a new vertical to its robust product line up. Serving pet owners with a brand-new offering that is formulated to reduce stress, pain, separation anxiety and inflammation. 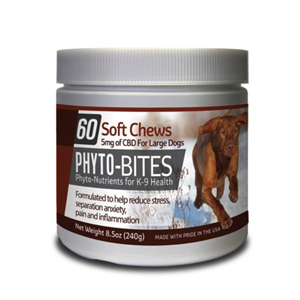 PHYTO-BITES is manufactured and supplied by CBD Unlimited formerly (Endexx) (OTC:EDXC). The two companies are working collaboratively to distribute this product online and in store all over the nation.